Unfortunately, many people hear the terms positive coaching and positive parenting and roll their eyes and think here we go again with all that goody-goody stuff. It is a shame some people look negatively on those terms because the opportunity to be one of the kids’ life coaches is right in front of them. I assume it is because they know sports are not all fun and games. They do not want to hear people continually telling kids to just have fun and expect them to go around smiling all the time. Of course, they have a point because although fun is an important youth sports ingredient, there is so much more to youth sports than just having fun. Although many people may disagree with that, many future life values are obtained from youth sports, whether fun is had or not. I believe the only way to be a truly successful life coach is in a positive way. 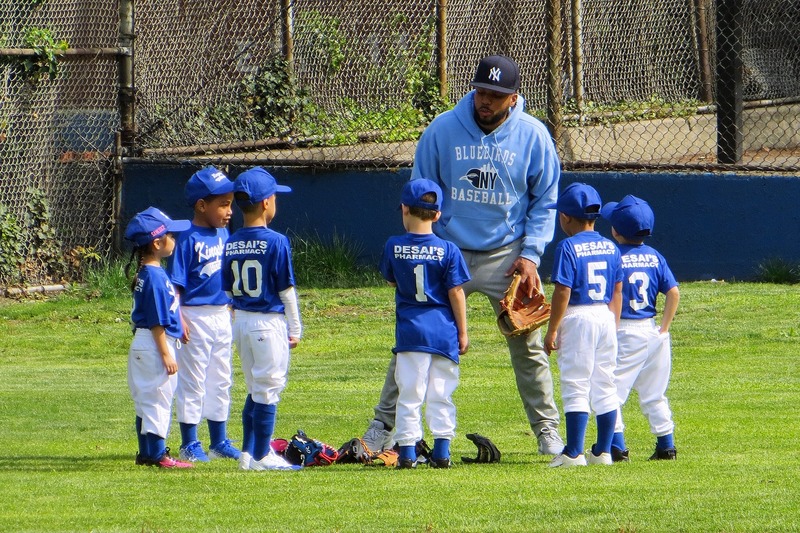 The whole key to a positive experience for youth in athletics begins with sports coaches, who have the opportunity to be much more than sports coaches. Youth sports coaches are life coaches for the young, impressionable youth athletes. Besides children’s’ parents, no adults have more influence with a sports-minded kid than their coach does. 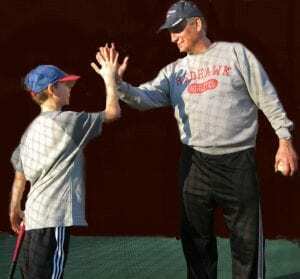 Youth remember the influence, positive or negative, that coaches had on them long after their careers end. It is important to note that I said, “Besides their parents,” as the most important life coaches for kids are their parents. All parents are sports coaches for their kids, whether they realize it or not and whether they are the team coach or not. Parents are the ones that athletes should go home to and discuss the happenings and outcomes of games. Parents are the ones that see and have to deal with the disappointments, successes, and career decisions of athletes. How parents “teach” during the ups and downs that sports produce is crucial to helping kids grow into successful adults. There are numerous life lessons to learn from youth sports and positive parents and coaches are necessary to recognize those life lessons and communicate them to kids. On the playing fields, positive parenting is essential for youth to reach their sports potential. Without positive parenting and coaching, kids stop playing sports before they ever reach their potential, and many quit without even giving it much of a chance because the parental negativity makes it feel not worth it. Failing to experience assuring adults, kids often head down the road ill-equipped to handle tricky sport and life situations. The problem is that there are positive life coaches and negative life coaches, and as mentioned, you can substitute the word parent for coaches. It all begins with communication and communication is a two-way street. So often parents make decisions for kids without either consulting with them or by just assuming they know what their child desires. Of course, parent/child communication is not easy because kids have a difficult time communicating their true feelings and often just say what they think their parent wants to hear. Parents must objectively try to evaluate their child’s behavior so they make the best decision for their child. Know how to say things with compassion, realizing sports success is difficult to come by and with empathy so that players do not feel their character and self-esteem are under attack. Know where to say things – not in front of others. Know when to talk to their kids about their sports play – not continually and never when kids feel bad enough already. Understand pushing kids and teaching with negativity does not work. 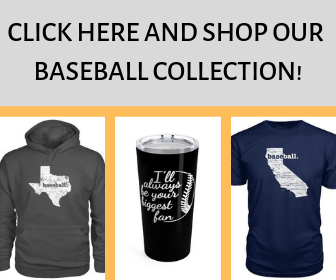 Never forget the F-word – fun is still necessary for youth sports and adults should never take sport so seriously that kids feel as though it is more about their parent’s life than their own. The best life coaches (parents), who display a positive sport and life outlook with these characteristics of understanding, compassion, fun, and empathy, help kids learn the same desirable traits. Being a life coach not only involves being a leader, but it is also about helping kids to become leaders themselves. Humility. Coaches should not take the credit for prevailing or other’s success. You are just another cog in the wheel. You can explain that it’s the efforts of all that leads to individual and team triumph. Passion. Having a spark with words and actions above and beyond others is a sign of a leader. Understanding. Coaches know that sports proficiency comes and goes, but they must be willing to work with all players whether they are successful or not. Empathy. Coaches should act with the realization that sports are just one aspect of players’ lives and not the main You can showcase schoolwork and family relationships as a case in point of things more important. Commitment. By giving a solid effort, day in and day out, coaches display the work ethic they want kids to develop. Accountability. People have a higher opinion of those who are willing to take the blame for bad performances. Coaches are the ones to do that with youth athletes. “We have to prepare you better the next time” is one way you can deflect the fault from the team. Optimism. The best coaches are able to teach others to have faith that things will turn around when growth does not show. Altruism. Coaches should applaud kids who sacrifice personal goals for the betterment of the whole. Resilience. Leaders bounce back from any hardship and help others do the same. Acknowledgment. Good coaches give credit where it is due, even if it means recognition of an opposing player or team. Curiosity. Influential people never feel as though they have all the answers. They ask questions and seek out knowledge to further themselves and their team. Honesty. Coaches who admit they do not have the solution to something gain respect more than those who pretend to know everything. Obligation. All athletes ought to learn they represent more than themselves and that their actions exemplify the whole. Consideration. Coaches, who allow athletes to speak and listen to them, display an essential ingredient of leadership. Gratitude. Leaders let others know how appreciated they are. They make people feel like they are somebody. Any time coaches notice players showing any of the above qualities, they should make a point of mentioning it to everyone. People often associate leadership with the best player. But the star players who do not work hard will not be the team leaders, at least not for long. Without passion and a consistent work ethic, others will not follow. You must point that out to those who do not work hard but believe their success warrants them to be the team voice. Of course, the ideal coaching situation is when the most talented players have the highest character. At the higher levels of sports, it’s hard for an athlete to be a team leader without having personal success. However, leaders at the youth level do not have to be the best players. An athlete with an infectious personality may fill that role. Coaches should encourage players to be themselves, allowing characters to emerge and encouraging others to follow those who display leadership. A useful method for teaching leadership is putting players in a leadership role. The “Captain of the Day” can do just that. Coaches can choose a different player each day and have that player make some decisions for the team. Captain for a Day helps players develop assurance, self-esteem, and responsibility. 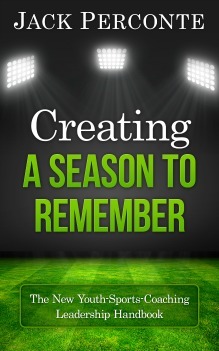 Coaches should point out the positive sports leadership stories that are in the daily news.